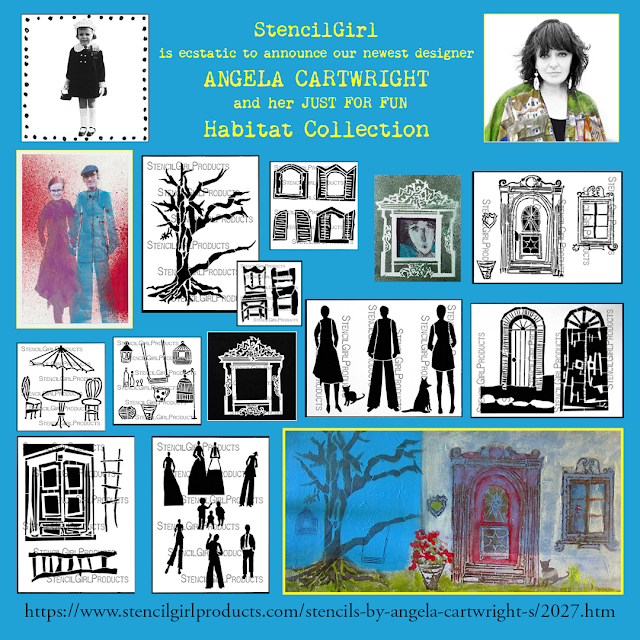 StencilGirl Talk: Angela Cartwright's Habitat Collection of Stencils was created Just for Fun! Angela Cartwright's Habitat Collection of Stencils was created Just for Fun! 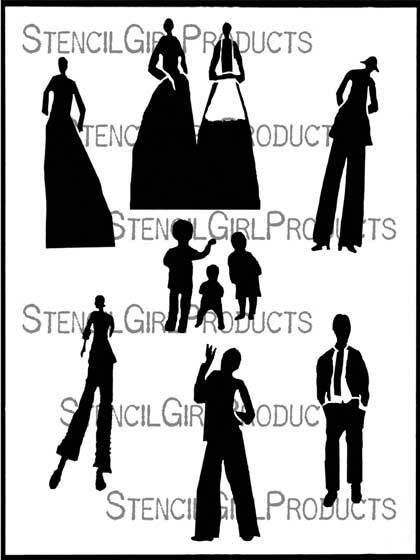 New Designer ~ New Stencils! You may remember Angela Cartwright learning to sing do. re. mi from an Austrian nun, or as a famous comedian’s daughter for 7 years, or perhaps as a space explorer lost in space... but Angela’s true love is making art, fusing together photography and painting to create altered art. 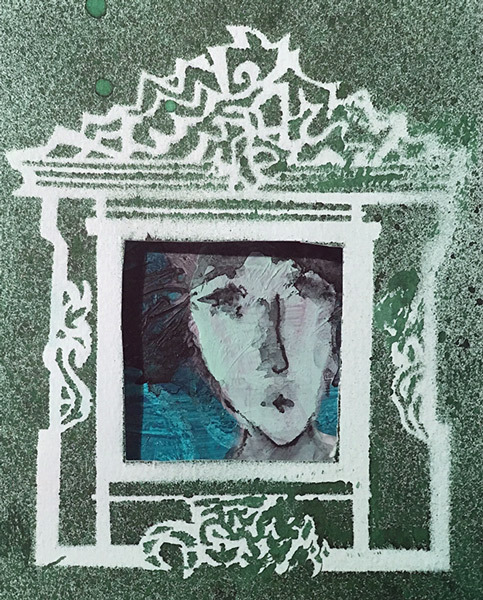 Pursuing her passion for art and photography, Angela authored Mixed Emulsions – Altered Art Techniques for Photographic Imagery, which explores her hand-painted photography, as well as her unique altered art mixed media techniques. 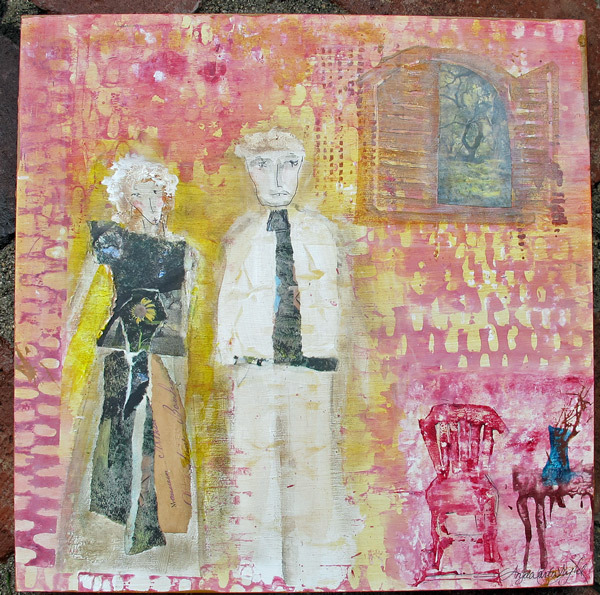 A pair of books, In This House: A Collection of Altered Art Imagery and Collage Techniques, and In This Garden: Explorations in Mixed Media Visual Narrative, further explored various altered art techniques. Angela self publishes Pasticcio Quartz a Quality ART Zine. 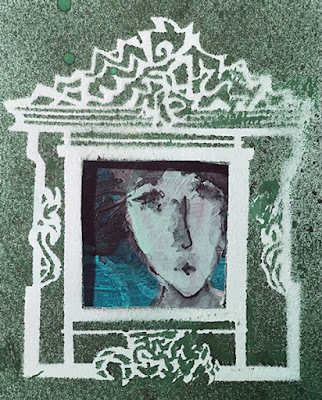 Angela’s art has been featured in Somerset Studios magazines and other art publications and her book Styling The Stars: Lost Treasures from the Twentieth Century Fox Archives won countless design awards. 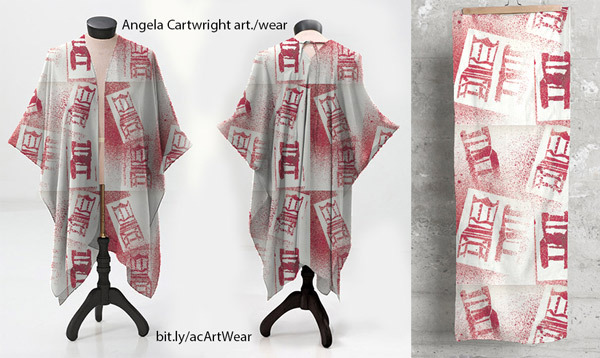 Angela has also pioneered and produced a clothing and jewelry line, Angela Cartwright Studio, which incorporates her hand painted art.ography images on natural art.wear and accessories. 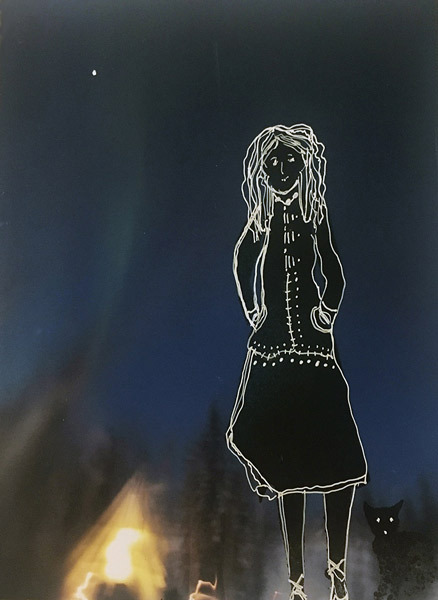 Her art and photography has been licensed for numerous products and is exhibited and collected around the world. 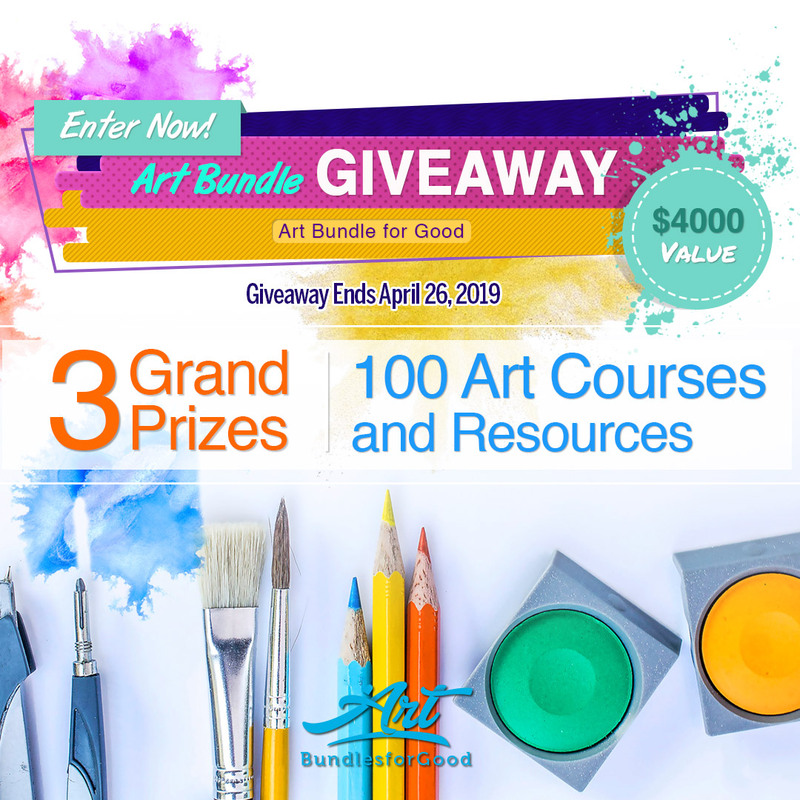 She travels the planet with Craftours, teaching her unique art techniques and leads an annual trip to Salzburg, Austria where she shares her personal behind the scenes Sound of Music experiences. 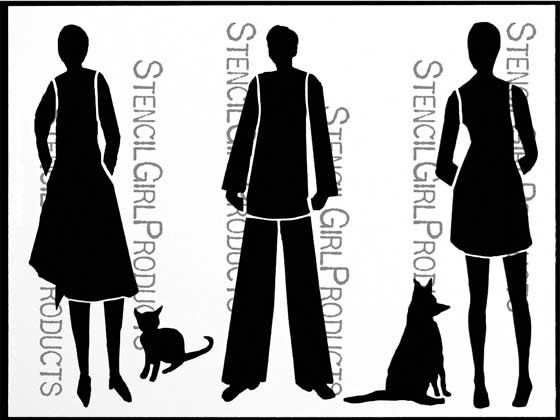 StencilGirl Products is ecstatic to introduce Angela Cartwight as our newest stencil designer! 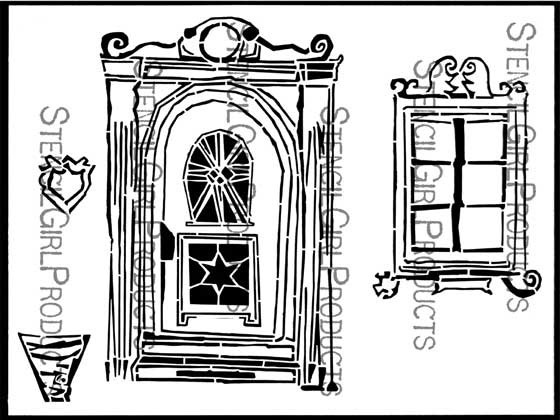 This set of stencils is full of people and pets, windows and doors, a tree and sweet details to style your own habitat. The Folks with Pets stencil gives you large size figures for your journal, but feel free to alter their form to personalize the look you want. Dress them in tissue, photos or paint. The pets love to hang out inside the windows or on the doorstep. Great to use with acrylic, stamp ink, spray ink, pen, pencils, or make gelli prints. 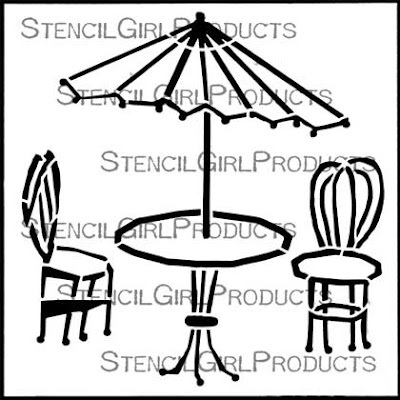 Create an inviting place to have a glass of wine or enjoy the view with the Bistro Patio Table and Chairs stencil. 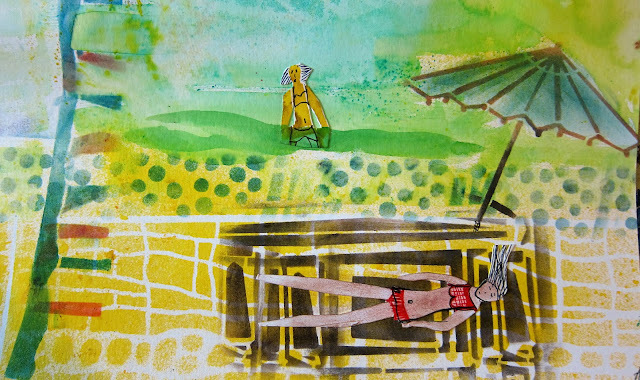 Or, use the umbrella on a rainy day with a kindred spirit or by the sea in a beachy art scene. 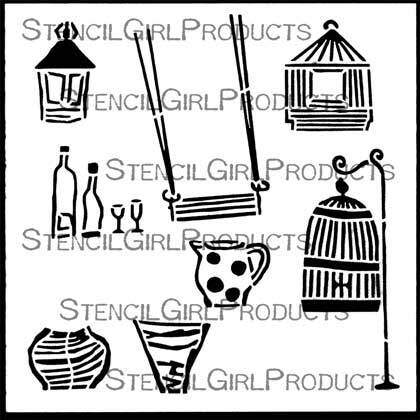 BISTRO PATIO TABLE & CHAIRS stencil S459 6" x 6"
Angela says, "I would like artists who use my stencils to look beyond what is the norm. Make the top of the jug a bird, the plant pot a hat, the side of the ladder flags blowing in the wind, the pattern in the door a towel. Think outside the stencil and they can be limitless…"
These Kindred Spirits are flexible, dress them up or down, make your imagination soar. 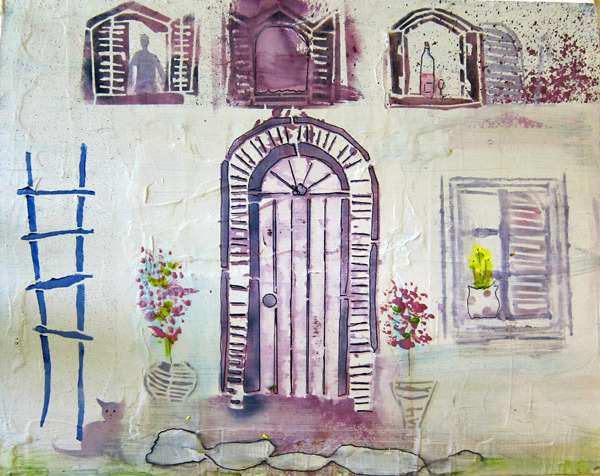 Make your habitat perfect with Angela's Edelweiss Door and Window stencil. 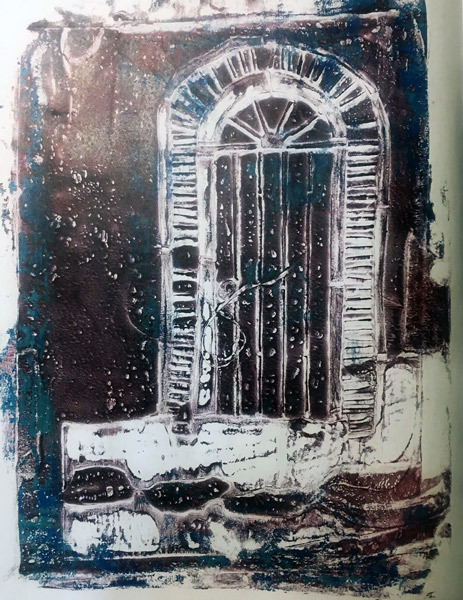 This is a Bavarian door and window in a small village inspired this stencil. 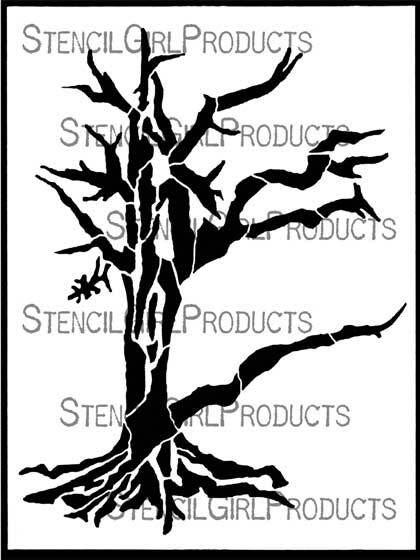 This bold and strong Life Tree stencil can be added to your art in a myriad of ways. Stencil once and reverse it to make your tree symmetrical. Have it peek in from the side of your art. Keep adding to it to increase the size. It’s perfect for a lazy day or a grand family tree. Add a swing, lantern or birdcage. Technique: fragmented gelli print, micron pen and a water brush. 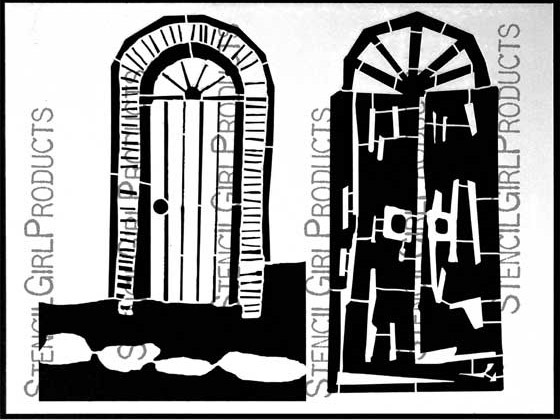 Two unique doors to create gateways into your art. 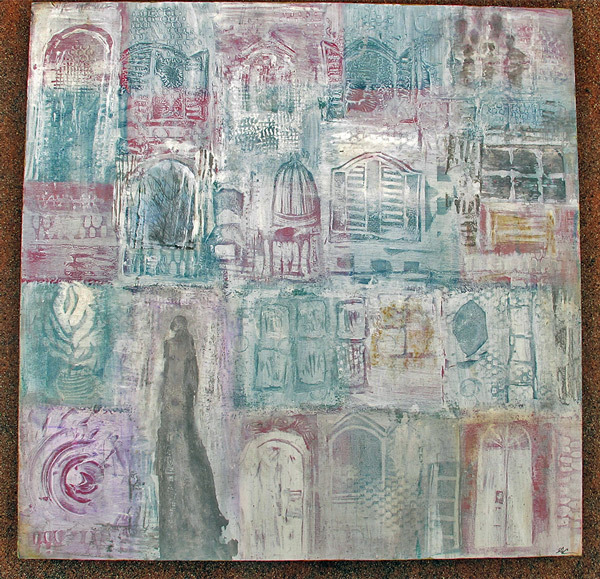 Inspired by doorways Angela found on her travels. Use the entire door or just part of the frame. Take a seat in one of Angela Cartwright’s useful chairs. Sometimes you just need a place to sit. The art or rope chair will fill the bill. 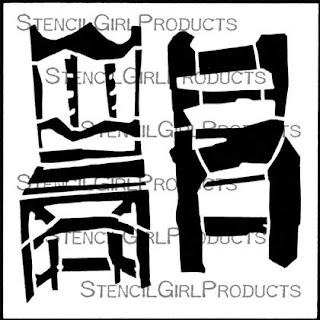 Create a background by repeating your chair stencil in a pattern, or try embroidering. ART & ROPE CHAIRS stencil M169 4" x 4"
Tell new story behind every window! 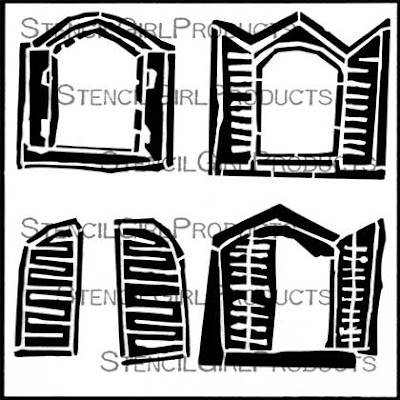 PORTAL SHUTTERS stencil S460 6" x6"
A set of window portals that can be open or closed. Add shutters or a curious cat. Conducive to create a charming living space. Want more tutorials with Angela's Habitat Collection? 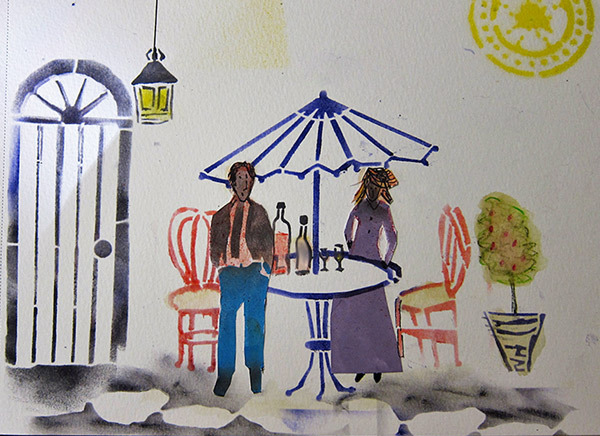 Just check out the April 27 Scoop ~ it is a portal into her imagination. 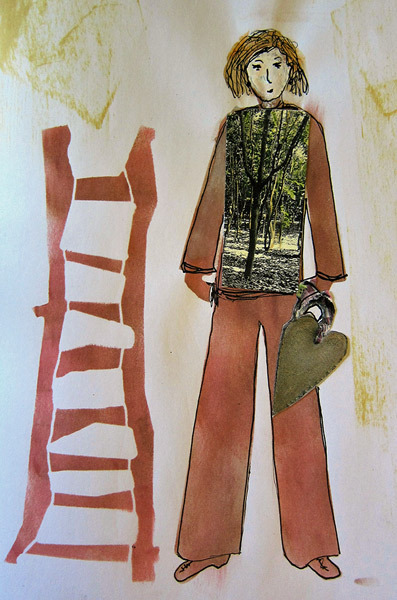 There will be an apple tree you paint with your fingers and a stylin' mixed media paper doll for your art journal. But first! We still have a stencil and a stencil mask to share! Accessorize… sometimes you need that certain pop to your art. These décor accessories will make anyone’s habitat special. 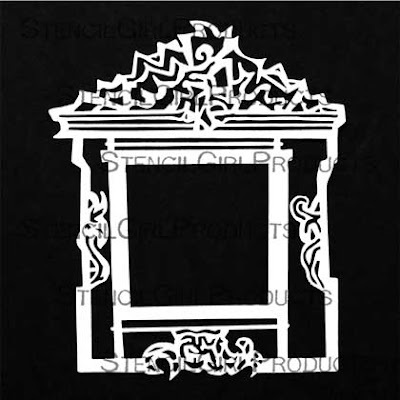 HABITAT DECOR stencil S458 6" x 6"
This small Faux Window stencil mask offers a plethora of possibilities. 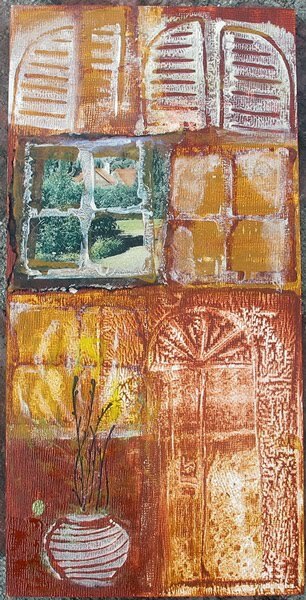 Imagined from an Austrian window in Luftmalerei (literally ‘air paintings’) is a local version of trompe l’oeil painting which became popular in the 18th century. Use in homemade photo cards, in a painting or on an invite with your favorite quote. 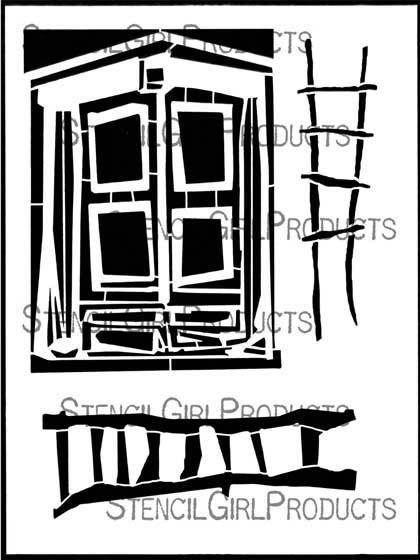 FAUX WINDOW stencil mask S432 6" x 6"
Wow! I want them all! These are so fun and so quirky!!! I just LOVE them. My cart was full yesterday but now I need to add some of these. 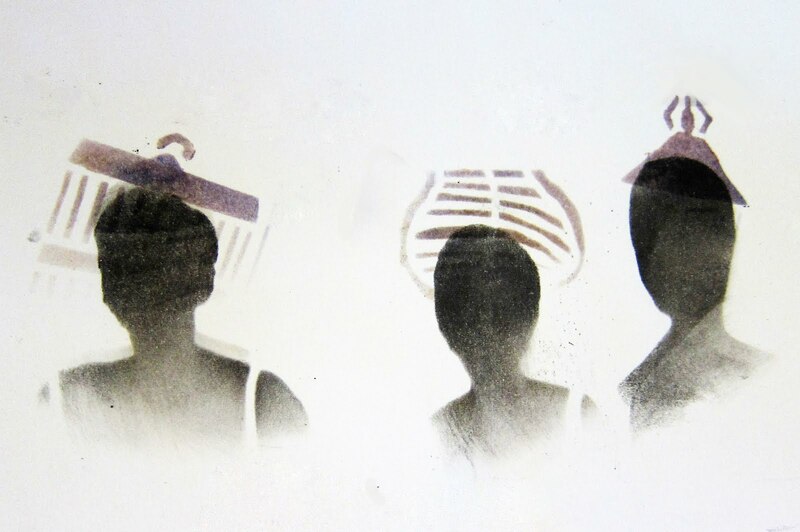 Great stencils! My cart will now have to include some of these! What another amazing collection.